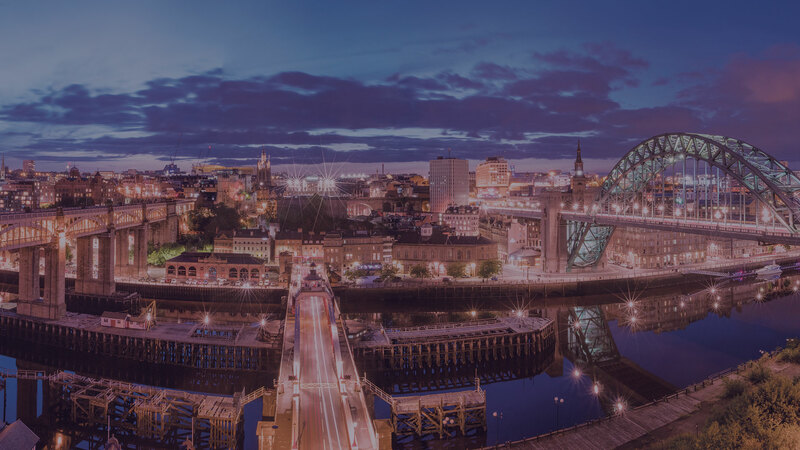 The 2019 Surpass Conference will take place at the Crowne Plaza Newcastle - Stephenson's Quarter. All the information available on this page is correct at the time of writing. Further details about the Crowne Plaza, Newcastle can also be found on their website. The closest railway station to the Crowne Plaza is Newcastle Central Station, situated roughly 7 minutes walk away. The main exit of the station is located on Neville St. On leaving the station take a right turn and walk until you reach Orchard St. Turn right here to cross under the tracks. Turn right again onto Forth Street and you will see the venue after a couple of minutes walking. The Crowne Plaza Hotel is in the centre of Newcastle. If travelling north on the A1(M), leave the motorway at junction 69 and follow the A189. If travelling south on the A1, take the A6085 exit. For details on navigating the centre of Newcastle-Upon-Tyne, we recommend following a sat-nav / GPS using the post code NE1 3SA supplied by the venue. There is currently no parking available at the Crowne Plaza, however they recommend local parking just around the corner at Forth Banks. Newcastle-Upon-Tyne is served by Uber and other local taxi services. Further information on arriving by plane. Newcastle-Upon-Tyne has a regional airport which has good connections with UK airports, such as London, Aberdeen, Belfast and Cardiff (see further information here: https://www.newcastleairport.com/destination-map). Delegates arriving from Europe can fly via Amsterdam in the Netherlands, or Stuttgart, Cologne and other German airports. For delegates travelling to the UK from the USA and Canada, there are numerous flights via Dublin, or direct flights to London Gatwick and Heathrow. Direct trains between London and Newcastle run several times a day. After the conference, why not spend the weekend exploring the city of Newcastle and it's surrounding area?